Campeggio Rütti si trova a Stechelberg, Berna, è situato fiume/torrente. Questo campeggio dispone di piazzole sia ombreggiate che, senza ombra e piazzole poco ombreggiate. È possibile affittare tende. Ogni anno un ispettore visita il Campeggio Rütti, controllando oltre 200 tra attrezzature e altri punti di interesse del campeggio. L'ispettore è un dipendente ACSI e non lavora per il campeggio. Superb location, hard to imagine anywhere more stunning. Small and quiet site. Strongly recommended. Situated at the head of the valley with walks leading off from nearby. Fantastic campsite, we stayed here for two evenings and i wish we had stayed longer. The toilet facilities and washing up facilities are very good and clean. We were here early season (May 30). Pretty site. Lovely views, including of a huge waterfall and in some directions the Eiger, etc. Close to good hikes and waterfalls. Did have a bit of a cow smell to it. Ok, really strong cow smell. Mid-week, so not crowded. Shower block acceptable, but not exactly sparkling. Push button type. No extra charge. Not heated, and doors stay open. Don't bank on the internet. We aren't so sure they really ever provide it. We were told it was "down", and would be fixed in 2 weeks. Really?! They then recommend you go to the restaurant next door...and buy something to get the password. Again...Really? Surroundings are great. Staff are frendly. Price to quality comparison - best campsite near Eiger. Feelings: you are at safe place. But it's not 3 star campsite, only 2 stars. Overall: lovely place. Highly recommended. Good site at the end of the Lauterbrunnen valley. Toilet facilities are very good.Spectacular views although the geography means sun arrives late in the morning and disappears early at night. Pitches near the river are a little stony. Much preferable and much cheaper than sites in Lauterbrunnen village. Only 10 minutes by car to Lauterbrunnen or regular bus service. Cable car station only 10 minutes walk. Small campground with fairly small tent pitches but fantastic location at the end of Lauterbrunnen Valley with superb views of several seasonal waterfalls. Very quiet, dog-friendly, and clean. Pricing was a bit confusing. We would definitely stay again. A very quiet place with clean facilities in a spectacular location. Well placed for lovely walks and for getting to other places in the lovely Lauterbrunnen valley. Lovely rural and rustic campsite. Beautiful position with lovely views. Very handy for visiting the area with a bus just outside the site. Great walks and a restaurant up the road. Spacious plots and helpful owners. Volete prenotare il campeggio Campeggio Rütti o oppure saperne di più? Potete farlo usando i seguenti dati oppure tramite il sito del campeggio. E' alla fine della strada Lauterbrunnen-Stechelberg. 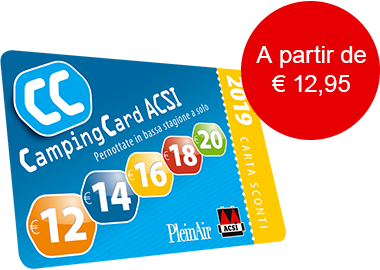 ACSI Eurocampings invia la tua richiesta di informazioni al "Campeggio Rütti".